Try this chicken mashed potato bake for a new dinner idea. This meal has everything in one dish with the chicken, veggies and potatoes. It's quick and easy as it is what I like to call semi homemade. So if you are short on time, then give this a go. 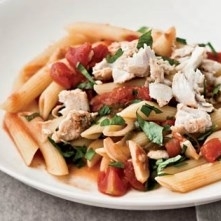 It's a WW FreeStyle friendly recipe as the main ingredient is skinless chicken breast - only 5 SmartPoints for this meal. This chicken entree is a perfect comfort food for a cold night. No need for sides as it's all in one dish...perhaps a tasty dessert is in order though. Prepare gravy mix according package directions in skillet. Add cubed chicken and frozen vegetables to gravy. Place gravy mixture into 4-quart backing dish. Prepare frozen potatoes according to package. Spoon mashed potatoes on top of gravy mix. 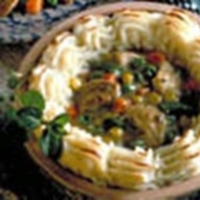 Place into oven and bake until potatoes are slightly brown, approximately 15 minutes. Nutrition facts shown below are per serving for this chicken mashed potato bake. The number of serving is noted in the header section below. The serving size is the first item noted on the nutrition facts table. The chicken breast and veggies were not used for the WW FreeStyle SmartPoints. The veggies were not used for the other points. Instead of using prepared potatoes, you can make your own for a more homemade taste. I personally like lumpy mashed potatoes so I make my own. Found this chicken bake that uses cubed potatoes. 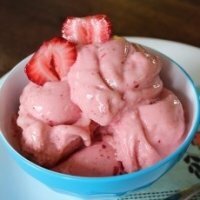 My husband made this, and of course add his own Chef Douglas twist on it, and it was really good. 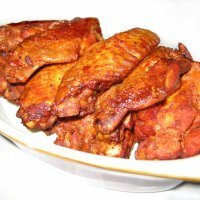 Love the sweet and bold flavors of these wings. Have them on game day, a snack or even make it the star of the night. 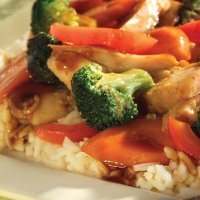 This chicken recipe has only 1 SmartPoint so you can add a tasty dessert, put it over rice or add a salad to this meal. 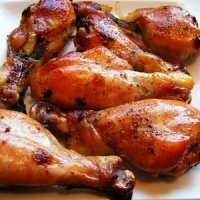 To sweeten this chicken, the recipe calls for an unsweetened applesauce glaze that saves on WW points and sugars. This is not only a fun appetizer to eat, it's a blast to make. 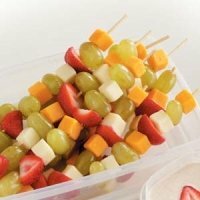 Just thread on juicy fruits and creamy cheeses. This stir fry uses the uniquely flavord swordfish as the main ingredient. The stir fry is placed on top of pasta for a hearty meal. Use this free downloadable spreadsheet to track your weight loss progress. Record calories from the foods you eat and the calories you burn during exercise. Find out how many calories you need to consume in order to lose weight. This online tool will even estimate how long it will take you to reach your goals. Check out the free fitness videos on this site. You will find videos for abs, upper body, lower body, stretches and more.